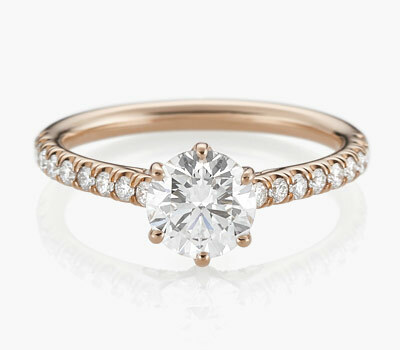 “To have and to hold” remains a constant vow with this ring as it wraps the finger and caresses the soul when worn. Whether near or far to you other half, always feel close ay hand with the Embrace ring that 'hugs' your diamond in a romantic platinum setting with round diamonds. Showing the balance and unity of your love and handcrafted in platinum.